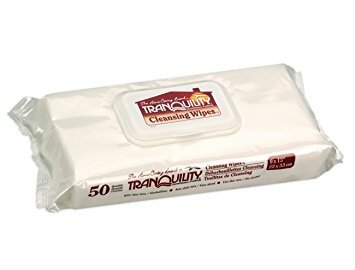 The Tranquility Personal Cleansing Washcloths are super soft, cloth-like disposable wipes that are ideal for cleaning any body surface. They are pre-moistened with aloe and are hypoallergenic as well as alcohol free. The large size of these personal cleansing washcloths allows for quicker clean-up. An easy open flip-lip reseals and keeps wipes moist. TENA Cliniguard Disposable Dry Wipes, 13" x 13.25".